Wanting to apply for a travel credit card but wondering how to improve your credit score? Or perhaps your credit score needs a boost before applying? If you are new to the hobby of traveling nearly free, one of the first things you’ll need to do is get your credit score in order. One of the keys to using miles and points to travel frees is to responsibly take advantage of bonus miles and points offers on travel credit cards, but before you head down this road, you’ll need to have a good credit score. I recommend getting it to the high 600s, say 670 or above, before starting. Disclosure: This post contains affiliate links for which I may earn a commission — at no cost to you — if you click through. You don’t have to use them, but I appreciate it if you do! 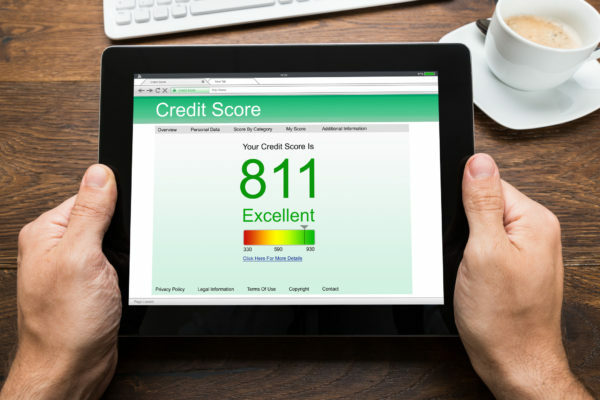 First, you’ll need to know what your credit score is! I regularly check my credit score FREE using a service called CreditSesame.com. 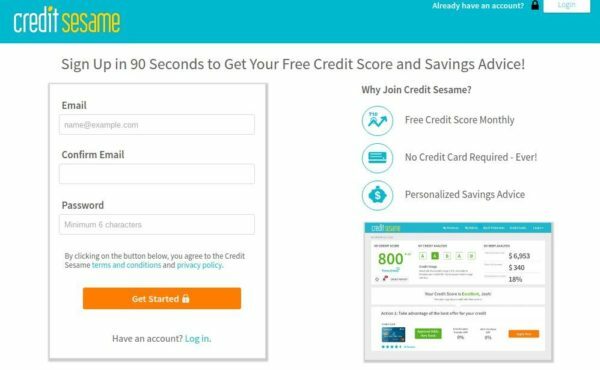 CreditSesame allows me to check my credit score at no cost every month by just providing my email address and a few details to verify my identity (which DO NOT include credit cards or full social security numbers). 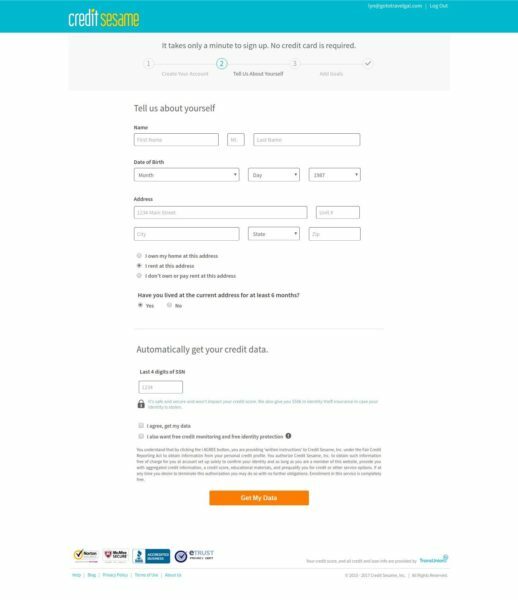 After you complete this process, which takes less than two minutes, you will be redirected to a screen that shares your credit score. You can return to get a new credit score each month, and as you engage in the hobby of signing up for multiple travel credit cards, you’ll want to keep a close eye on your score to make sure it does not drop significantly. I also like that Credit Sesame sends me regular updates when my credit score changes, which helps me stay on top of keeping it in the best possible shape. If you time your sign-ups and approvals properly, your score should only decline by a handful of points when applying for a new card. Generally, the additional credit you have been awarded more than offsets the temporary decline due to the credit pull. Most people in this hobby report credit scores in the 700s. Read my post on how to use credit cards to your advantage without damaging your credit score. Try to get all debt to 1/3 of the credit that has been extended to you aside from auto loans and mortgages. So if credit card X has a credit limit of $3,000, make sure you don’t owe more than $1,000 on that card. Make that your ONE thing to work on in order to get your score higher. You can also request a higher credit limit on your existing cards to help this process move more quickly (it makes it easier to reach the 33% ratio), but of course, to be financially responsible you should work to pay down all balances to $0 every month. ‘Nuff said. Here’s a great post on what to do if you can’t pay all your bills. 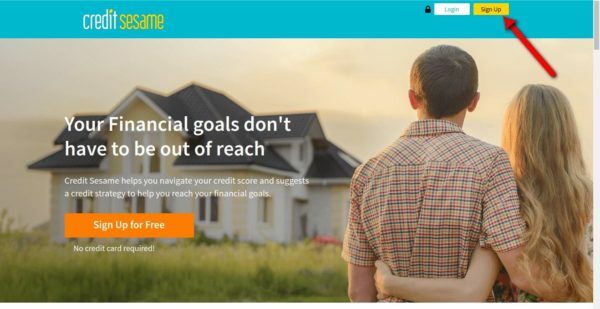 Note: Getting your free credit score on CreditSesame.com IS NOT a credit pull and is not posted to your credit. If you are shopping for a mortgage or new car or auto loan, this is not the best time to begin applying for travel credit cards. The hard pulls — both as a result of applying for a new credit card AND to secure the loans — will bring your score down, and you do not want to do anything that would cause you to get a higher interest rate for a loan that could last 30 years or more. I began this process right as we were buying a house, and I did apply for ONE CARD before our mortgage was settled, and it did not impact my score, but I’d recommend keeping it to just one card as I did until the mortgage process is complete. If you have any liens, bankruptcies or foreclosures on your credit, those only go away with time, unfortunately. In the meantime, take care of the above and do what you can to increase your score as high as you can on your own. How long did it take you to improve your credit score?